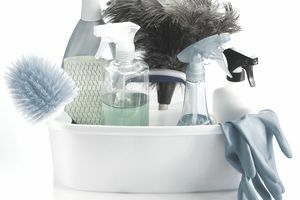 Cleaning products can be expensive, but by using coupons you can cut the cost and still use the popular brands. For those wanting to maximize savings, buying store-brand products versus name-brand products will help to cut the cost. Remember, supermarkets and big-box stores like Walmart and Target often have coupons for store-brand products. Thrifty shoppers also find deep discounts on cleaning products by joining the loyalty programs at national drugstore chains like CVS, Walgreens, and Riteaid. Loyalty programs allow shoppers the opportunity to earn store points that can be used to purchase merchandise, including cleaning products. Not only do shoppers find significant savings by collecting and redeeming the points, but they can also stack the savings with coupons. Note: Coupon offers can change or end without notice.